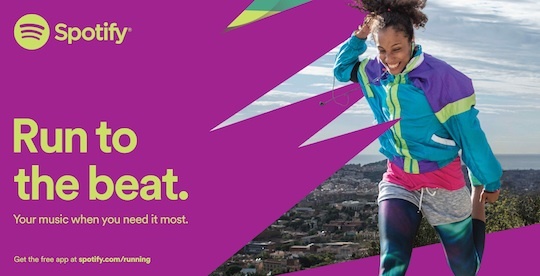 Music streaming service Spotify has launched its Australian ‘Summer is better with music’ campaign, its largest since entering the market in 2012. It has been driven by a data-led approach, utilising a wealth of first party data to understand what’s driving platform engagement during three key music enjoyment moments – fitness, travel and commuting, and partying. The mobile-first campaign, planned and bought by media agency Foundation is running nationally across digital, social and outdoor until the end of February. On social media, Snapchat will play a key role in driving organic conversion and user generated content around party, commute and fitness. Spotify has enlisted the assistance of New Zealand startup Mish Guru, for access to their Snapchat content management platform, which has helped grow ‘SpotifyAU’ to over 4000 followers in just over a month. The campaign’s digital, social and mobile spend is complemented by a programmatic buy, which utilises Google Display Network affinity segment targeting, as well as leveraging mobile location and behavioural data to create context-relevant geo-targeted ads. Ad content is curated by in-house music editors, artists and influencers. 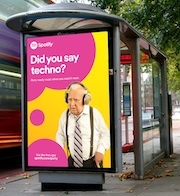 “By leveraging the expertise of artists, influencers and our own in-house music editors, this personalised, context-relevant campaign drives directly to content, as well as new product features such as Running and Party, which we hope will drive significant increases in acquisition, active use, and all-important brand love over the summer” says Serena Leith, marketing director APAC. Since launching in Australia in May 2012, Spotify has become the leading streaming service for the region, and has been tried by one in three Australians.